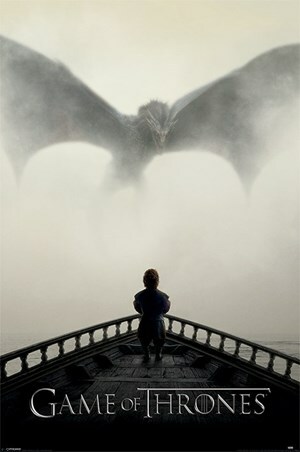 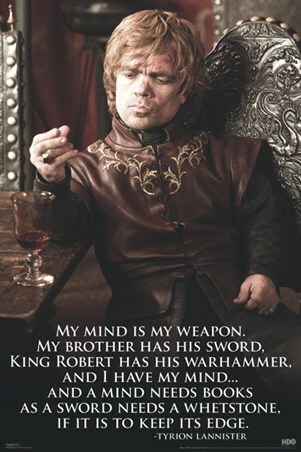 Television Maxi Poster: Do you love Game of Thrones? 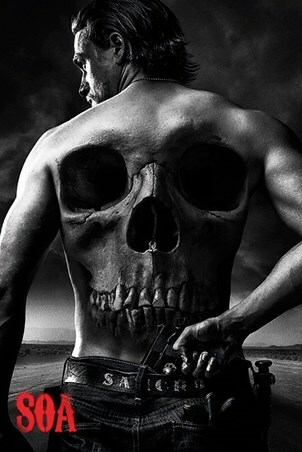 Then make sure you know how the land lies with the help of this sensational maxi poster. 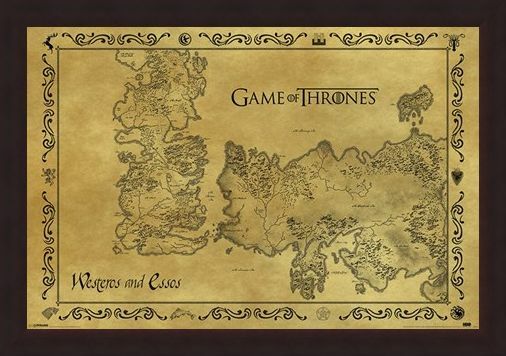 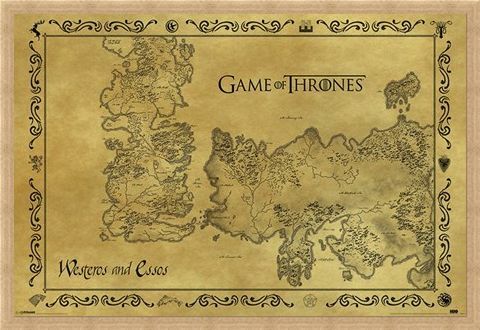 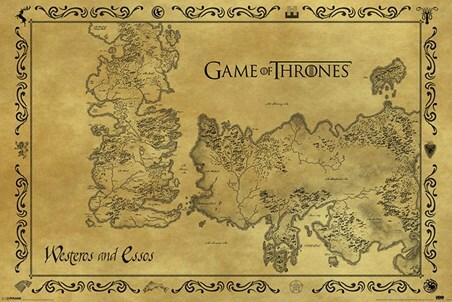 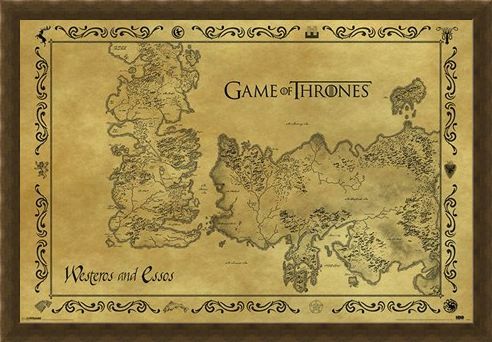 Featuring an antique style map of Westeros and Essos, this poster is the perfect way to navigate your way around the seven kingdoms and beyond. In a vintage style with an intricate border, this poster includes the title of the fantasy drama along with place names such as Iron Islands, Reach, Crownlands and the Vale of Arryn. 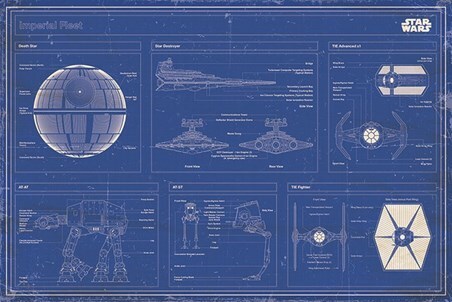 So why not brush up on your geography and prepare for a cold winter with this must have poster. 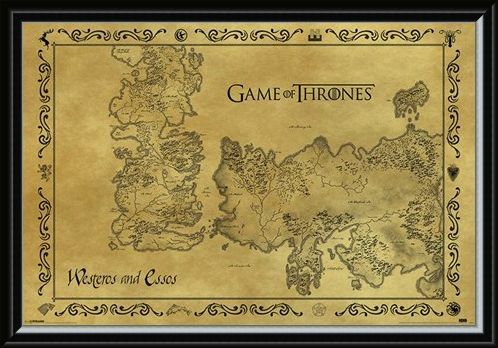 High quality, framed Antique Map, Game Of Thrones poster with a bespoke frame by our custom framing service.